This Goulding Fertilisers products section of the site contains specific sections on the benefits and uses for Trace Element Fortified NPK fertilisers, Avail and Gran-Lime. In addition we provide the analysis of all our mainline products. Replenish is a well balanced NPK Fertiliser, containing a range of trace elements which are as essential for quality grass as the major nutrients. 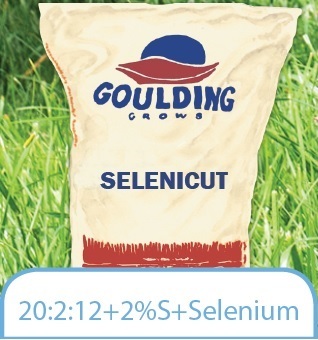 Selenicut is a well balanced NPK fertiliser with added Selenium, which is an essential trace element for animals. Selenigraze is a well balanced NPK fertiliser with added Selenium, which is an essential trace element for animals.